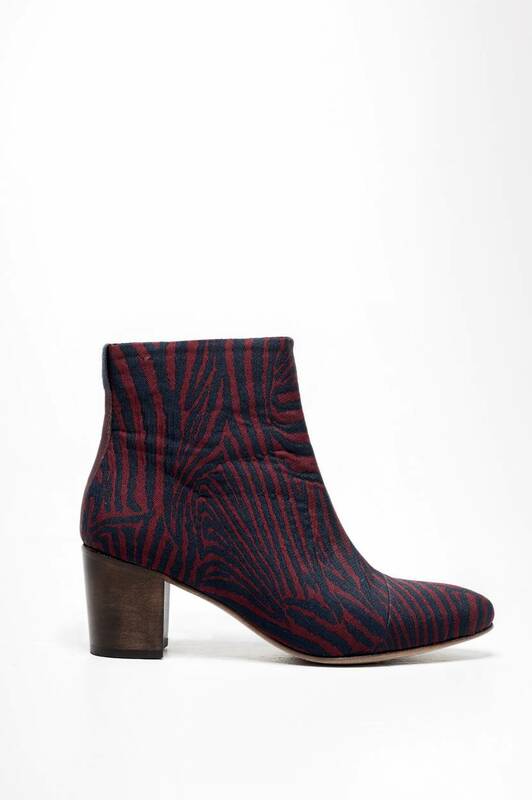 These printed SALINA boots will add the finishing touch to your outfit. With a zip on the inside, a leather detail at the back, and chunky heels for added comfort. For a matching outfit, pair with the CRUSH items with the same unique pattern from the HUMANOI studio. The heel height is 6.5 cm.